Maureen is a BC born and raised coastal advocate with a B.A. from the University of Victoria. 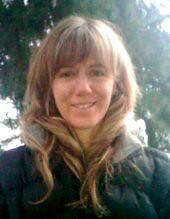 In addition to being a part-owner and marketing manager for Maple Leaf Adventures (a BC expedition cruise company) she is also a writer whose award-winning publications span the spectrum from essays and feature articles to poetry. Travelling other parts of the world have convinced Maureen that BC’s natural heritage is significant on a global scale. She believes it is a rare and precious wealth that we have yet to significantly understand and appreciate. Jane is a long-time advocate for B.C. wilderness protection. She has organized and facilitated many B.C. wilderness expeditions and fundraising programs. She holds a B.F.A. in writing from the University of Victoria. Her summers are spent exploring Haida Gwaii. Jane has been a board member since 2006. 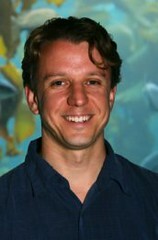 Corey is an aquaculture specialist with an MSc in Marine Conservation Ecology. He assesses and influences sustainability standards for seafood production globally and domestically. His work for Monterey Bay Aquarium’s Seafood Watch program helped shape US standards for aquaculture production. Corey’s master’s thesis examined the impacts of sea lice transfer from salmon farms on the health of juvenile wild salmon. He is a strong advocate for fisheries reform and salmon conservation. Misty is a biologist who has been working on salmon conservation and management issues for the past 15 years with both government and NGOs. She has represented the conservation interests of feather, fur and fin on various management and recovery committees. She is also a director of the Gulf Islands Alliance.